Income Tax refers to the tax you pay directly to the government depending on your income or profit (for companies/local authorities). The money collected by this direct tax route is used by the Government for infrastructural developments and, also, to pay the employees of central and state government bodies. 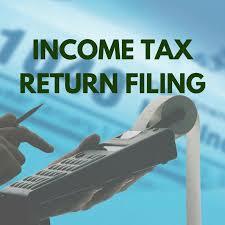 Taxes levied by the Government are of two types- Direct taxes and Indirect taxes. Indirect taxes are those that are levied on services and goods. Direct taxes, on the other hand, are levied on profits and income. For example, service tax is what you pay in a restaurant and is an indirect tax, whereas Income Tax that is deducted from your salary every month in the form of TDS, is an example of direct tax. Income Tax Act of India, passed in 1961, governs the provisions for income tax as well as the various deductions that are applicable to it. However, since 1961, the law has been amended several times to take care of inflation and other socio-economic situations.